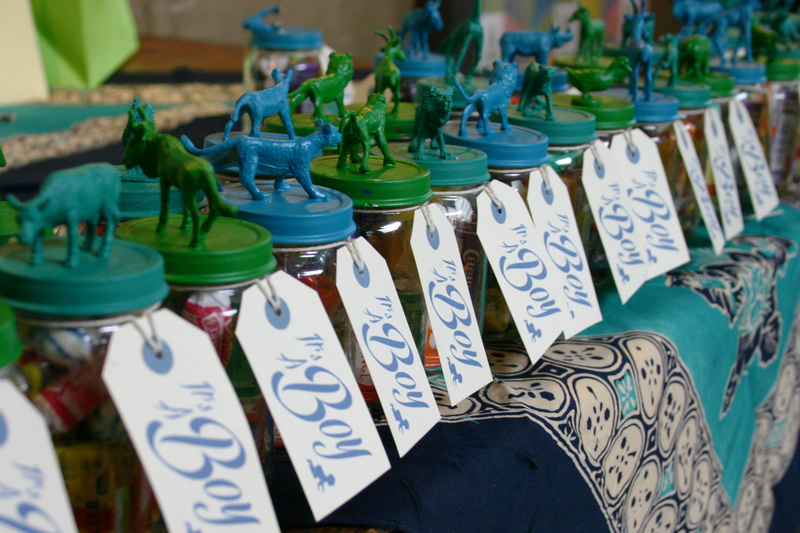 My Very Own Brooklyn-Hip Baby Shower! 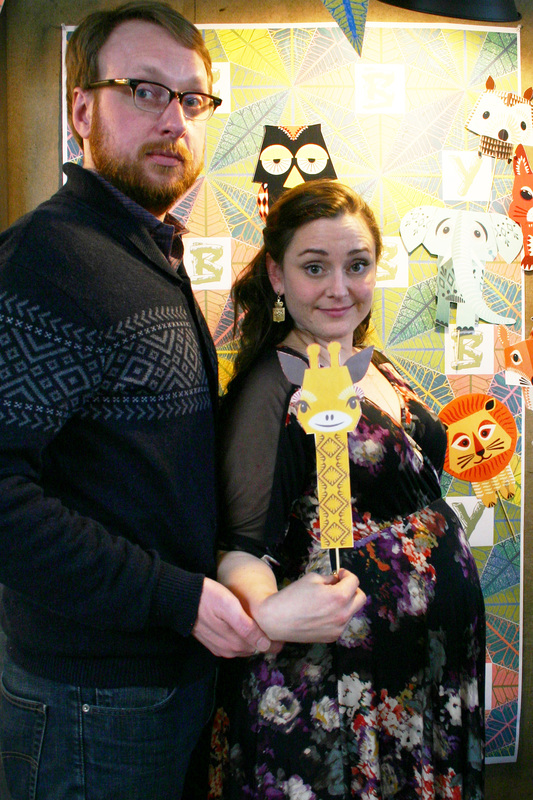 The theme was loosely inspired by Delia’s nursery. 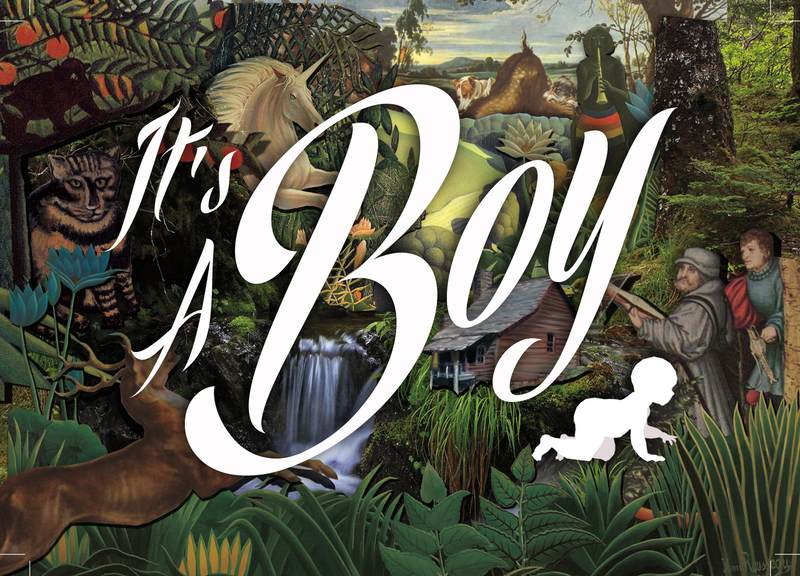 Enchanted forest, real and imaginary animals, with a splash of “baby hunting lodge”. For the invitation I collaged together a bunch of images I liked to convey that unusual concept. Throwing a party for such a seasoned party planner is a daunting task. Even though I knew she would be happy with anything, you would never invite the Queen of England to stay in your railroad apartment and sleep on the Ikea mattress on the floor that you call a bed. 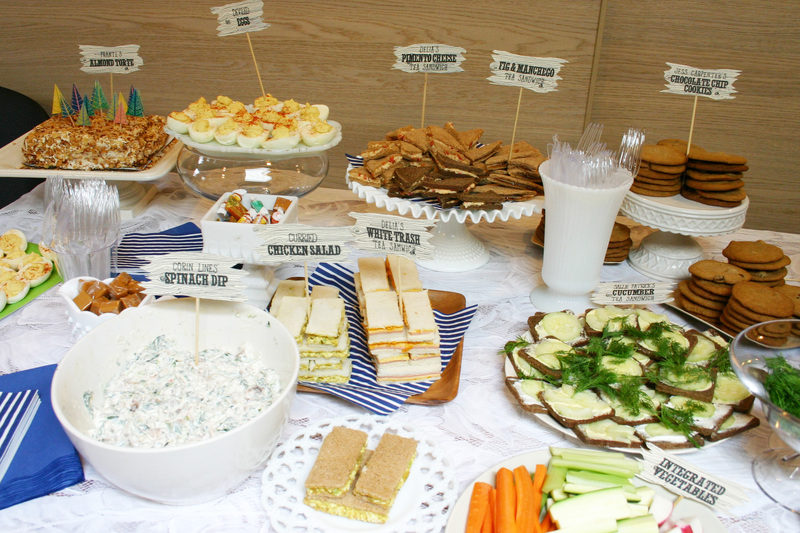 And so I enlisted the help of some other devoted friends, referenced Martha Stalwart frequently, and proved that you, reader, CAN throw these parties too! With only 30 minutes to set up the space it was a scramble to get the food table arranged, the leafy pennants and balloons hung, and the furniture moved around. 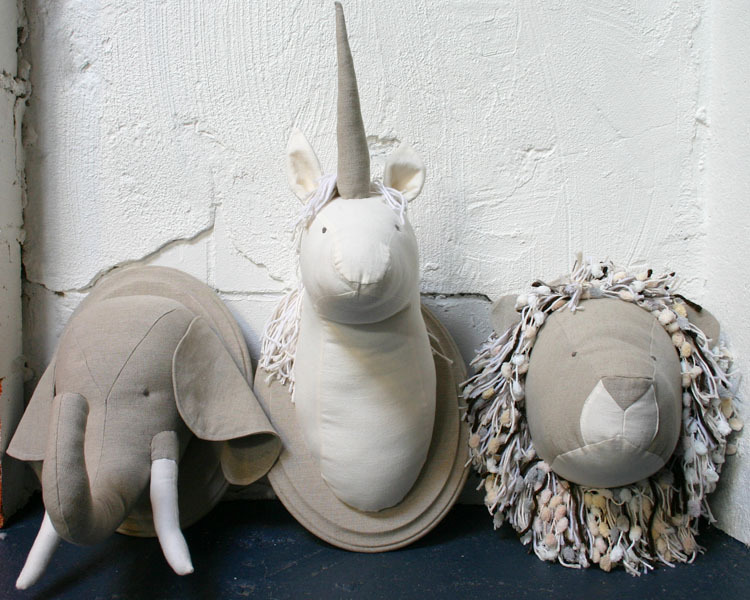 Faux elephant, unicorn and lion taxidermy in Italian linen!